Heinrich Hertz began experimenting with radio waves in the late 19th Century. His experiments showed that radio waves would bounce off of metallic surfaces. An earlier scientists had suggested that radio waves might reflect off objects when he was studying electromagnetism. It took until early in the 20th century for mechanisms using this knowledge to become widely available. A German inventor name Christian Hulsmey created a device for captains of ships sailing in fog to detect another ship so they could avoid collisions in the fog when visibility was very poor. The Navy developed a new navigation and detection system in 1939. The US Signal Corps coined the term RADAR while working on the system. The term is an acronym for RAdio Detection and Ranging. The term continued to use the term RADAR for later developments in RADAR that the military wanted to focus on finding unknown targets. The earlier models of RADAR were developed to navigate to or away from unknown ships. Both of the RADAR systems were basically the same that were developed by the Signal Corp in 1939. The RADAR systems were based on Heinrich Hertz experiments that found when an electric current swinging back and forth rapidly generated electromagnetic waves that we call radio waves today. 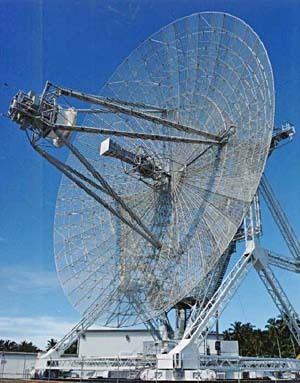 The wire used by Hertz is the antenna in the RADAR generation of radio waves. He used an electrical spark to generate the waves. Hertz experiments led to the measuring of frequencies in Hertz (Hz), and the oscillations per second which are radio frequencies in megahertz. Science Articles for Kids - Includes information about the Sun’s magnetic poles changing, tourist in space, a two-toned lobster, Kepler telescope discoveries and our science newsletter for kids. Current Events in Earth Science – Space Tourists Virgin Galactic’s Space Ship Two (SS2) flew over the Mojave Desert in California on September 5, 2013. Virgin Galactic’s goal is to fly tourists into space in 2014. Science Trivia page includes information about the discovery of Pluto, cave formation, Mammoth Cave, bones of the human skeleton, Genghis Khan, industrial revolution, spinning jenny and much more.